Find out why prospective aviation professionals from around the world and major airlines choose Infinity Flight as their training partner. May 2, 2019 from 6PM-8PM! Piedmont President, Lyle Hogg will talk about the looming pilot shortage and how MCCC is the perfect fit for your aviation training. Registration required. Sometimes having options is complicated. Let us help you find out which route is best for you. Infinity Flight Group offers flight training under both sets of FAA training regulations, the Federal Aviation Regulations, (FAR) part 141, and FAR part 61. Whether you choose Part 141 or 61, the FAA requires the same performance standards and the certificate you earn in either option is the same. What differentiates the two is structure and accountability. Whether you have logged flight time, or you are starting from zero hours, Infinity's unique partnerships may help you cover the ENTIRE COST of your training -including your Private Pilot's License- if you choose to use your VA benefits - No, there's no catch! Call us today and let us help you make the jump into your new career. Infinity Flight has the distinction of having been selected as a certified Cessna Pilot Center (CPC). The CPC designation represents top-quality, professional flight training. As a CPC we have state-of-the-art training facilities, new aircraft that meet strict maintenance requirements, and we also incorporate the Cessna Flight Training System, an interactive, comprehensive, and proven flight-training program. 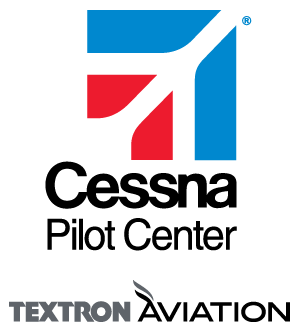 Cessna Pilot Centers are associated with The Cessna Aircraft Company, and Cessna ensures that their Pilot Centers maintain the high standards that have helped Cessna remain successful for over 75 years. As a CPC, Infinity Flight Group can guide you throughout your aviation journey.